When G was 2, he asked me for an apron. 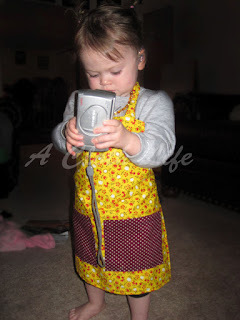 I always wore mine when baking, and G has always loved helping me in the kitchen. I made a pattern based on my apron and gave it to him for his third birthday. He still wears it, but now it's become part of a Mario or Luigi costume (in lieu of overalls). Of course, now little sister wants her own apron. I no longer have the pattern I made nearly three years ago, so I made a new one based on G's apron. 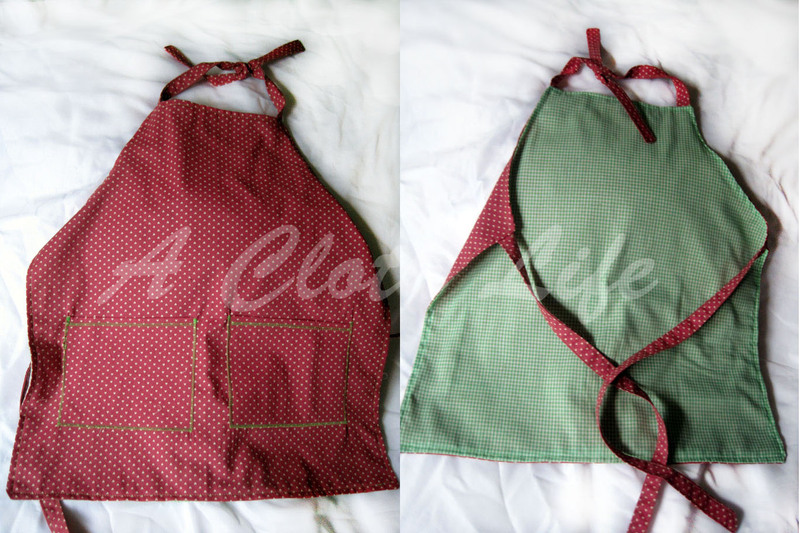 So because N's apron turned out so cute (in my opinion), I've been inspired to add a few to my etsy shop! If you think your little chef or baker (or Mario brother!) would like their own apron, please be sure to check out the listing!